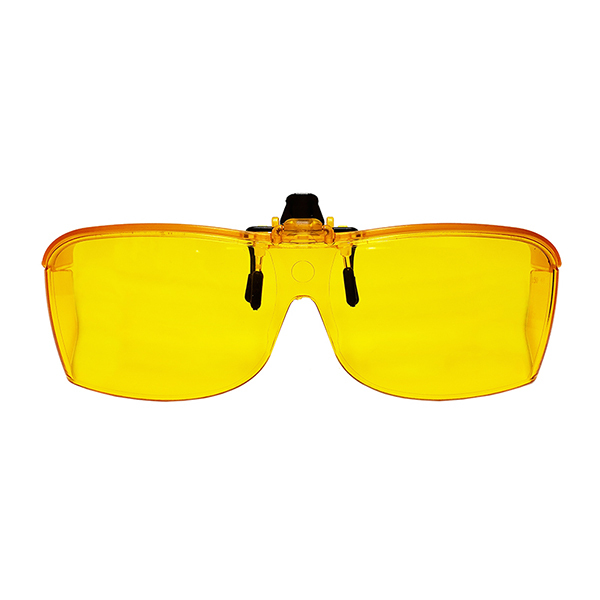 The Solar Shield® ClipFlip filters are designed to clip onto patient’s existing eyewear to provide wrap-around glare protection and contrast improvement. They are available in three lens tint colors (Solar Shield® Gray, Amber and Yellow) which block 100% of UVA/UVB light, improving contrast and creating a better viewing experience. Additional coverage is provided by the top and side shields.